Liquid biopsies offer doctors a way to look for cancer in the body without performing surgery. The tests measure DNA from tumors that is circulating in the blood. 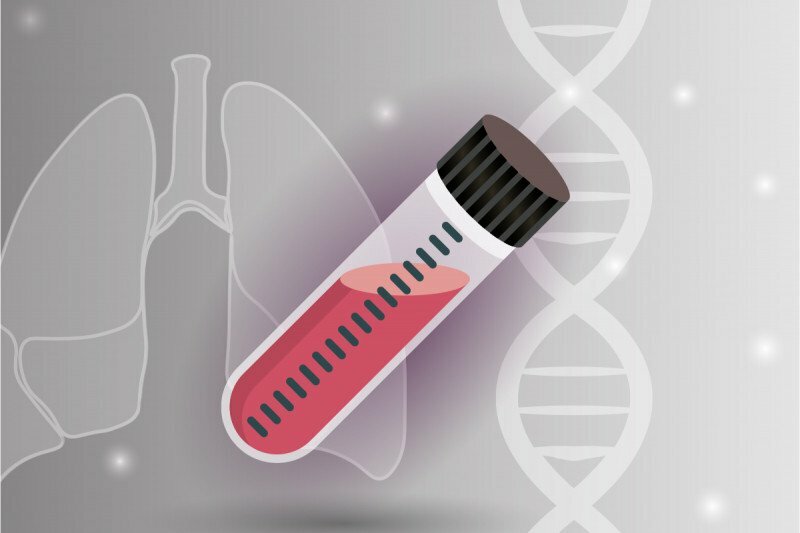 For people with lung cancer, a blood test known as a liquid biopsy can be a useful tool for guiding treatment decisions, according to a new study from researchers at Memorial Sloan Kettering, the University of Sydney, and a biotech company called Resolution Bioscience. Doctors and patients alike have cheered the arrival of liquid biopsies to modern cancer medicine. These high-tech tests measure infinitesimally small amounts of DNA that is shed from tumor cells and is circulating in the blood. The tests can provide doctors with information about which mutations are present in a person’s cancer, without needing to perform a surgical biopsy. Several are commercially available. While much touted, liquid biopsies have yet to really prove their mettle when it comes to improving patient care. The paper covers the first 210 patients enrolled in the study. They all had advanced-stage non-small cell lung cancer that either had no known mutation that could be targeted with a drug or had stopped responding to a targeted therapy. Their cancers had spread beyond the primary location. Each patient had the liquid biopsy test performed on a blood sample. About half of the patients (106) also had their tumor tissue genetically sequenced by MSK’s DNA-sequencing platform, called MSK-IMPACT™. Among the most important benefits of the liquid biopsy was the quick turnaround time. It took a median of nine days from the time of the blood draw for doctors to get the results of the liquid biopsy. It takes a median of 20 days from the time a tissue specimen arrives in a lab to get results from tumor sequencing. If I see that a patient has a liquid biopsy result that is positive … I'm confident that I can match the patient to a therapy and treat that patient immediately. Given that people with late-stage lung cancer can be quite sick, that time difference can be significant. But if a liquid biopsy turns up a targetable mutation, doctors can act on it right away. In the study, just over 45% of the patients were found by liquid biopsy to have a mutation that could be targeted by an approved or investigational drug. About 22% of the patients (46 people) received one such drug, and nearly all of them experienced a benefit — namely, a decrease in the size of their tumors. The particular liquid biopsy test used in this study is made by Resolution Bioscience, a biotech company based in Redmond, Washington. It looks for mutations in 21 genes that are known to be involved in non-small cell lung cancer. By comparing the results of the liquid biopsy to those of tumor tissue, the team determined that the overall concordance rate between the two approaches was 56.6%. This means that for a little more than half of the people, both tests identified at least one mutation in common. What cheered the team more was that when they looked just at people who tested positive for a cancer mutation on the liquid biopsy, 89.6% had that same mutation also identified by the test of tumor tissue. Finally, when the investigators looked at only patients with driver mutations found on the liquid biopsy — those that matter most in terms of treatment — the rate of agreement between the two tests was 96.1%. 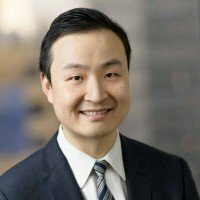 “If I see that a patient has a liquid biopsy result that is positive, especially for a driver mutation, I’m confident that I can match the patient to a therapy and treat that patient immediately without waiting for the tissue results,” Dr. Li says. One major caveat, he notes, is that a negative result on a liquid biopsy does not mean that a person has no targetable mutations. In that case, the person would need to have a tissue biopsy to look for a targetable mutation. MSK, the University of Sydney, and Resolution Bioscience are academic collaborators on this study, and there is no exchange of money between them. Resolution Bioscience covers the costs associated with the test for all enrolled patients, and neither MSK nor the University of Sydney charges Resolution Bioscience for access to patients’ blood. Patients who consent to the study receive the liquid biopsy free of charge. Every person who comes to Memorial Sloan Kettering for lung cancer treatment receives compassionate, personalized care from an expert team. For Dr. Li, the results of the study are much more than a narrow academic concern. People’s lives depend on it. He gives the example of a patient who was misdiagnosed at another hospital before coming to MSK. “This previously healthy young man was so sick with widespread metastases, he had lost 30 pounds,” Dr. Li recalls. He ordered a liquid biopsy, and within days it showed that his patient had a targetable mutation. Dr. Li quickly started him on a matched drug. 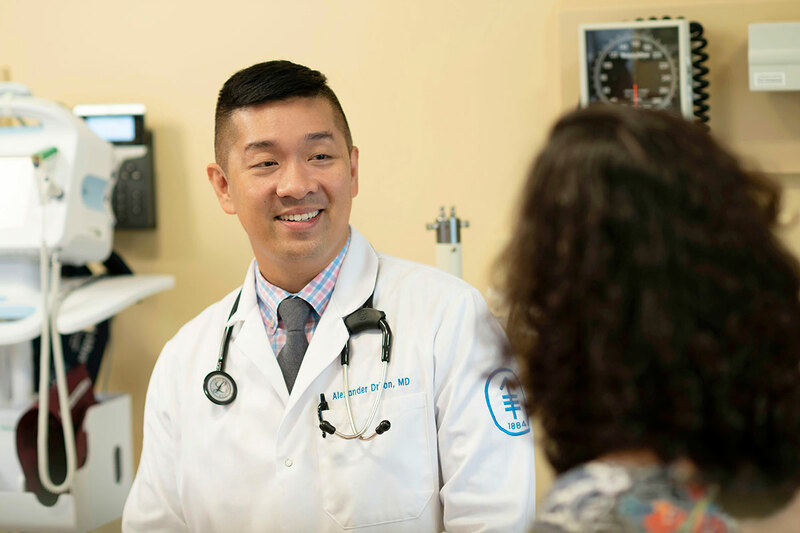 Dr. Li suggests that patients talk to their doctor about whether a liquid biopsy might help direct or improve their treatment. “We’re very pleased that our study showed the value of a liquid biopsy. We hope that such tests will eventually become an integral part of care to help many more patients,” he says. Other MSK authors on this study are Michael Offin, Dennis Stephens, Andy Ni, Sutirtha Datta, Nidhi Tandon, Mackenzie Myers, Alex Makhnin, Andres Martinez, Ysleni Leger, Helena Yu, Laetitia Borsu, Maria Arcila, Jeong Jeon, Valerie Rusch, Paul Paik, Jamie Chaft, Mark Kris, Marc Ladanyi, Matthew Hellmann, Alexander Drilon, Gregory Riely, David Jones, Andreas Rimner, Charles Rudin, and James Isbell. This research was supported in part by the National Cancer Institute of the National Institutes of Health (T32 CA009207, P30 GA008748) and the Nussbaum/Kuhn Foundation. Dr. Li has received travel support from Resolution Bioscience for an academic conference presentation, and he has served as a consultant for Genentech Roche, Thermo Fisher Scientific, and Guardant Health. Is this liquid biopsy used for metastatic cancer that goes to the lungs from leiomyosarcoms and PEComas? Dear Ellen, liquid biopsies are still experimental and are not yet part of standard treatment. Thank you for your comment. Dear Linda, some of our studies for metastatic breast cancer include liquid biopsy as part of their trial design, to collect additional information, but these studies are not using results from this analysis to make any decisions regarding treatment. Thank you for your comment and best wishes to you. I was and still am treated at MSK by one of the listed dr's for this study -- yet he never suggested this and I had to find out about and join an identical study at another institution, just this past week. Please explain why MSK wouldn't offer it to me themselves, or even help me get blood draw for other study. I've repeatedly said I want to know re any available suitable studies and have never been told of any. I've also repeatedly asked for a more responsive dr, but was told I need to stay to the one assigned in spite of my dissatisfaction. We’re very sorry to hear that you’ve been unhappy with your treatment at MSK. Our Patient Representatives are committed to ensuring that your rights are respected and that your concerns are addressed. You can contact them directly at 212-639-7202 to discuss this in more detail. Thank you for your comment and best wishes to you.